Most Creative Ballpoint Pen Art - Part 2. We have seen the amazing work of Spanish artist Juan Francisco Casas, which impressed all; now we have the ballpoint portraits by Florida artist Jesse Starr which we are sure is going to impress all equally. He creates photo realistic art using ballpoint pens. 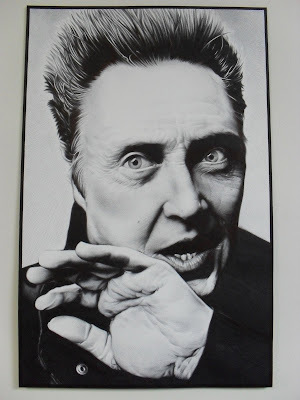 His latest work is the portrait of Christopher Walken. It was created using '7' Bic 1.2mm pens (they don't run out of ink but they do break after a while and start to lay uneven amounts of ink, when that happens he has to start with a new pen). It is by far the most technical and detailed one yet, and it took about 25-30 hours to complete. He created his first ballpoint portrait back in 06. Amanda Stevens is (black and white girl) involved in the comic book that Jesse illustrates and is also a character. 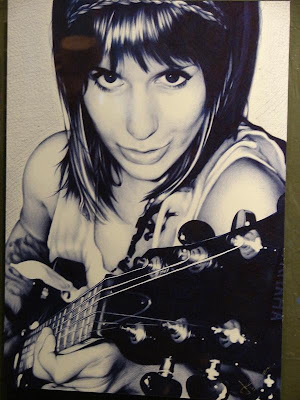 Leighann (girl holding the guitar) is friend of Jesse who took the photo by herself, and Jesse created the ballpoint portrait. 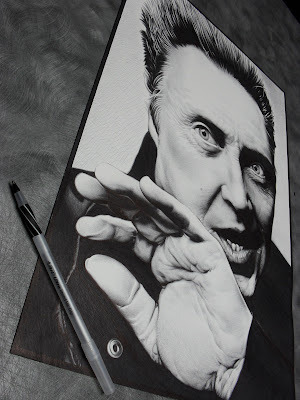 If you are interested to purchase the portrait of Christopher Walken, it's for sale. 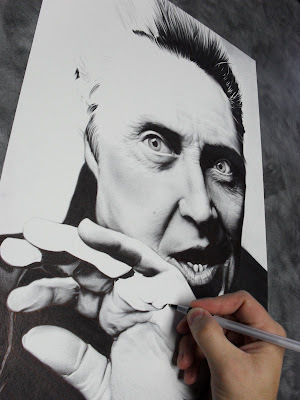 Don’t miss to check out “Incredible Ballpoint Pen Art – Part: 1| 2| 3”. 15 Ways To Reuse Old Credit Cards. Creative and Unusual Toothpaste Heads. 34 Creative and Cool Kitchen Designs.